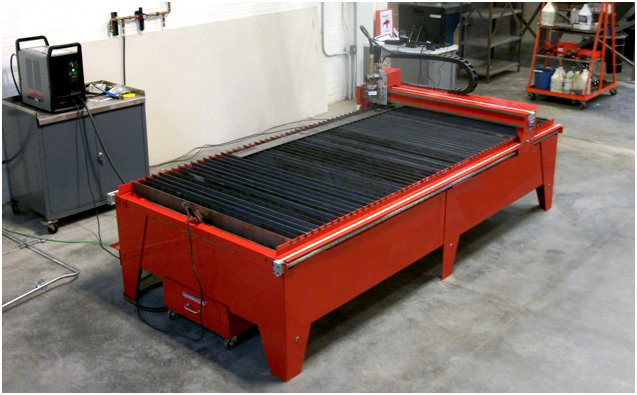 This CO2 CNC laser machine is sold as a complete cutting package. It is created to operate with high precision and speed on a variety of materials, including wood, plastics, fabric, ceramics, and metal. 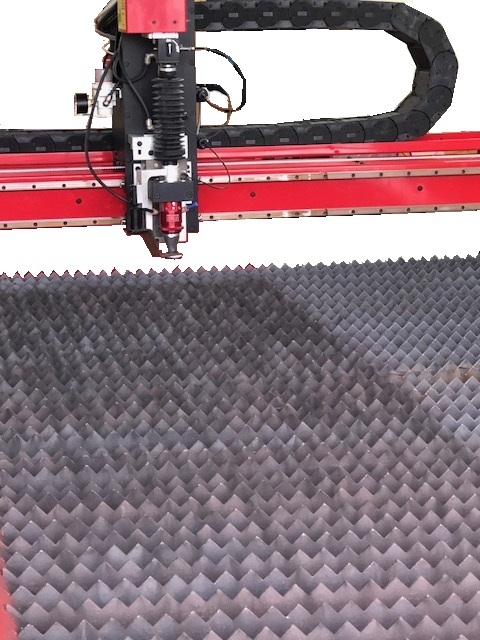 The cutting area is 48″ x 96″. This production-proven laser system is priced to be cost effective – on-site installed just under $60,000. This 4×8 cutting machine is a clean sheet design made specifically for the smaller CNC machine market. 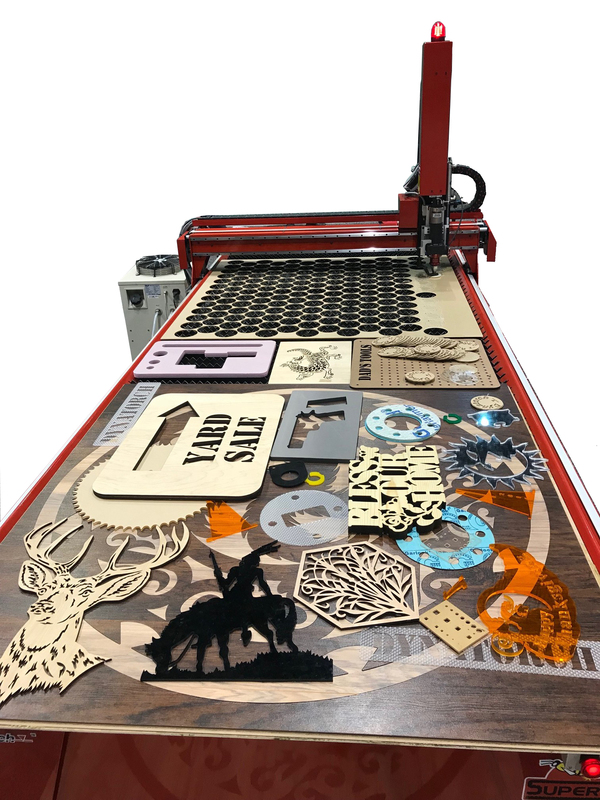 It combines high-end machine features and capabilities, in a smaller package, with high speed and precision of laser cutting. Using Servo drives for speed, control, and smooth operation along with ground linear bearings and linear belt drives results in smoothness and speed that is unrivaled in the industry. 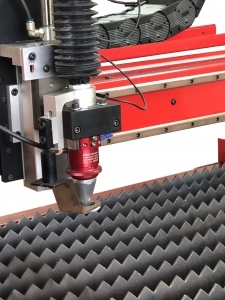 This high-power cutting head provides a versatile solution to laser cutting of a variety of materials including metals, wood, plastics, or fabric. The cartridge style optics holders allow for an in-the-field service or replacement with standard off-the-shelf optics. Modular design makes this cutting machine customizable to many cutting applications. A mechanical fuse device prevents damage in the event of a crash. An adjustable vernier gas manifold with a precision scale provides repeatable focus settings and immediate focal changes. 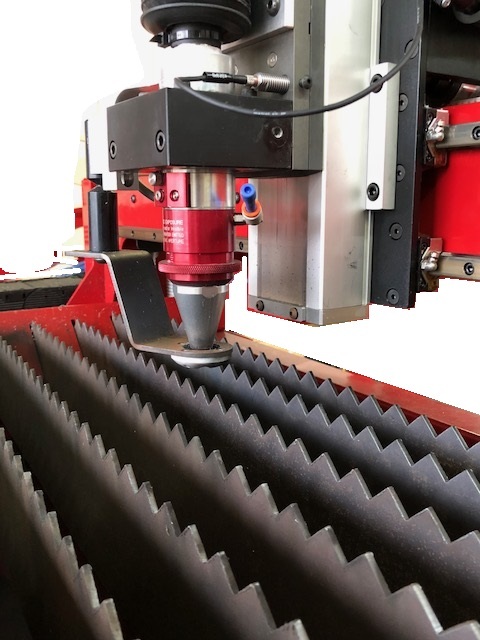 Requiring minimal maintenance, this reliable cutting head ensures precision, consistency, high repeatability and productivity. For more information on the processing head, please click on the picture. 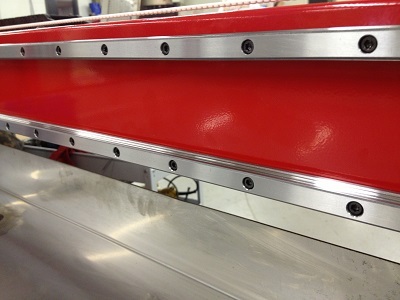 The frame is welded steel and the machine rides on linear bearings on all axis just like the best high end CNC machines. DC Servo drives with encoder feedback closes the loop on control for always accurate cuts and high speed performance. Closed loop feedback is performed as the machine is cutting, unlike hybrid systems that make error corrections at the end of each cut, which could result in a jog between cuts. With travel speeds up to 1000 inches/min and large part contouring speeds of 400 inches/min, the it sets the bar far above the competition. The precision ball screw and bearings are sealed in a milled assembly for long service life. The operating software is the most user-friendly and easy-to-learn and use system with an abundance of features. You can operate our systems with a laptop. We don’t need parallel or serial ports. You can build simple brackets, gussets, flanges etc, with just a few clicks of the mouse. Choose from dozens of predefined designs with more being added upon request. The whole machine is powder coated and ships assembled and pre-wired with only the X cable carrier removed to allow for quick setup and also easy shipping. We provide flame resistant wire covering for the x and y axis cables. The system uses linear belt drives with embedded steel cables to prevent any belt stretch. These are AT5 urethane belts specifically made for automated machinery and widely used on machines in Europe. The result is superior smoothness in operation that translates into smooth cuts for you. Both sides of the gantry are driven to maintain stability and smoothness at all speeds. Our machine, homes on hard stops, eliminating pesky limit switches, that fail and can result in machine damage. Accessories include a stainless steel water tray or downdraft air table, collision protection, marking attachment, an HD Screen PC, and many CAD and CAM software options. 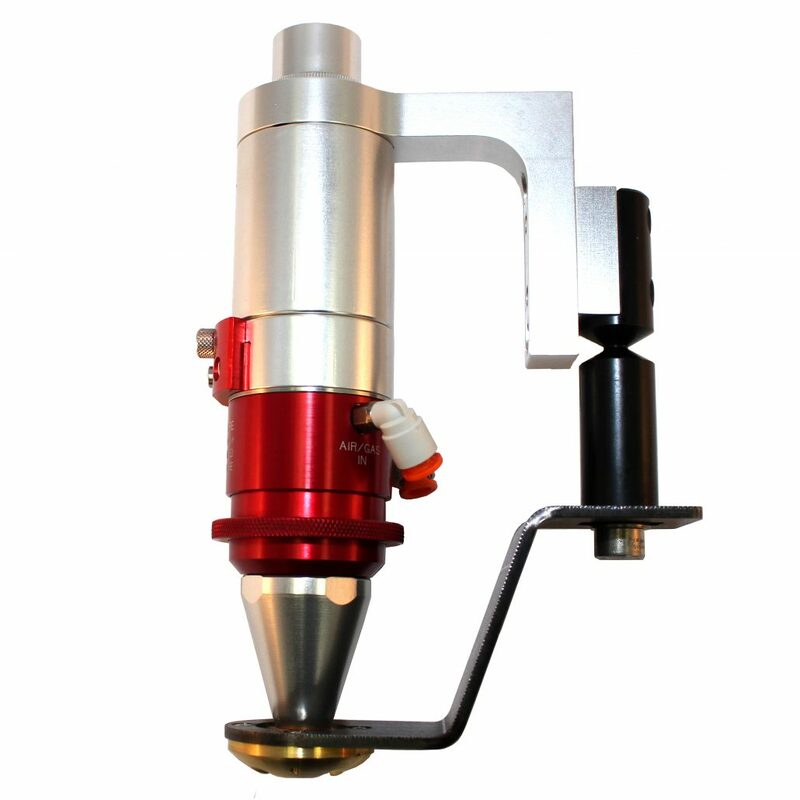 This machine can also be upgraded to be used with a fiber laser! Check out our fiber laser processing heads to learn more.